Thai Yoga massage is an ancient healing art that has been around for more than 2, 500 years. Today, everyone can enjoy the benefits of this therapeutic treatment from a Leesburg spa. This body science based on Ayurvedic medicine was developed by Doctor Jivaka Kunar Bachha, the famous physician of Gautama Buddha and Indian King Bimbisara. Thai massage is both a therapeutic and preventive healing art, combining yoga-like stretches with acupressure. If you desire to bring balance and harmony to your entire being, a Thai Yoga massage in Leesburg, VA is one of the best ways to achieve this objective. Thai Yoga massage is sometimes called “passive yoga” due to the stretches that it practices to keep the body supple and flexible. On top of this, special techniques of Thai Yoga Massage you’ll experience from spas in Leesburg, VA will promote balance among the systems of the body. Ultimately, you’ll leave feeling rejuvenated, restored, and relaxed. Thai Yoga Massage and Hatha Yoga: How Are They Similar? Thai Yoga massage shares some similarities with practicing yoga poses like Hatha Yoga. Blood flow slows down toward targeted areas as an individual holds a pose. Upon release, the area receives a rush of fresh circulation. What makes Thai Yoga massage such a remarkable healing art is its perfect combination of meditative calmness, yoga stretching, reflexology, and acupressure. As mentioned above, Thai yoga massage reflects some elements from Hatha yoga. “Hatha” means “force” in Sanskrit in reference to yoga’s physical practice. Therefore, all other types of yoga can be considered a category under Hatha. Compared to other types of yoga, Hatha yoga involves a slower pace. You’ll observe almost no flow between different poses. Furthermore, unlike other yoga types like Iyengar yoga, Hatha yoga doesn’t require a lot of equipment or props such as straps or blocks. It won’t leave you sweating heavily like Bikram yoga, or demand the athleticism of the more advanced stages in Vinsaya yoga. Hatha yoga is gentle and offers an excellent way to wind down after work, or for beginners who are just starting to venture into the world of yoga. You’ll learn basic postures, relaxation techniques, breath work, and meditation. Combining massage therapy and yoga offers a lot of benefits. Likewise, the yoga practice can benefit from massage and vice versa. You can experience all of these at Awakenings Spa Boutique right here in Leesburg, VA. We offer yoga, skin therapy, massage, and other services. As a treat this September, we’re offering a 15% discount off Thai Yoga Massage. Drop by our Leesburg spa and experience a whole new level of well-being. Skin care shouldn’t be limited to your face and neck—your back surely deserves some pampering, too! With summer only a few short months away, you’re likely getting ready to show off some more skin at the beach. Our backs, in particular, can be an area of skin distress like acne, dryness and irritation. We need to give our back the same attention we give our face and neck, especially with Spring upon us and Summer right around the corner. Sweat and contact with different fabrics cause acne breakouts, rashes and irritation. In fact, over 50% of the population have most breakouts on their back and chest. Your back should get a good tune-up as well because the skin there can be just as sensitive and prone to dryness and irritation. 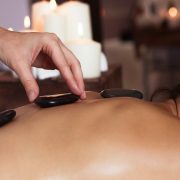 A back facial at your favorite Leesburg spa is exactly what you need this coming bathing suit season. The treatment is designed to help get rid of these common skin concerns. Our 55 min back facial includes a deep cleansing with steam, exfoliation, extractions, a hydrating, detoxifying mask, a back massage, hot towels and a moisturizer with sunscreen. Awakenings Spa Boutique is proud to sponsor Mrs. Leiah Rocheleau, as Mrs Dupont Circle, in the Mrs. DC 2018 Pageant coming up on April 14, 2018. Awakenings provides massage and skin care, including back facials, for Mrs. Rocheleau. She understands the importance for self-care to enhance beauty inside and out. The back is one of the most hard-to-reach places during your daily routine. Unfortunately, that also makes it one of the most neglected areas of your body in terms of care. Just how often do you really cleanse, exfoliate and moisturize your skin there? Chances are you’re not doing it enough, especially if you already notice dryness of your facial skin. Dead skin cells need to be cleared to reveal healthier, glowing skin underneath using a treatment specifically formulated to address dry skin. According to the American Academy of Dermatology, 40-50 million Americans have acne at any one time. More often than not, it’s not on the face, but the chest and back regions. That’s because your back goes through a lot on a daily basis. Between sweat and irritable contact with different fibers and fabrics, the glands on your back can accumulate sebum. This build up then clogs hair follicles, leading to whiteheads, blackheads and eventually the dreaded bacne (or back acne) and cysts. If you’re hoping to even out your skin tone by sunbathing this summer, make sure your back isn’t already red from skin irritation. Much like bacne, redness and rashes are strong indicators that you are sorely in need of a back facial. One of the major causes of this is clothing made from uncomfortable fabrics rubbing up on your back or what’s known as itchy contact dermatitis. This is commonly experienced when working out and your sportswear starts to slide against your sweaty skin. A back facial is an effective treatment that targets your back, elbows and the back of your upper arms, mimicking many traditional techniques used for the face. It includes deep steam cleansing, gentle exfoliation, extractions, detoxifying masks, massage and hot towels. Stop by a spa and wellness destination, such as Awakenings Spa Boutique for a well-deserved back facial before you make plans for a summer getaway. A lot of people in Leesburg, VA love getting a massage. Many, however, do it only once in a blue moon. They think it’s something they have to fit in their schedule. The truth though is that your body probably needs more of the tender, loving care that a massage can give. The Benefits of Prenatal Massages: Should You Visit Your Spa Today? https://awakeningsspaboutique.com/wp-content/uploads/2017/03/benefits-prenatal-massages.jpg 782 1173 Awakenings https://awakeningsspaboutique.com/wp-content/uploads/2016/04/Awakening-Massage-Logo-300x186.png Awakenings2017-05-04 14:47:212018-03-13 15:16:31The Benefits of Prenatal Massages: Should You Visit Your Spa Today? Everyone experiences stress at some point. While stress is something you cannot entirely avoid, it is important to do something about it before it completely controls your life. 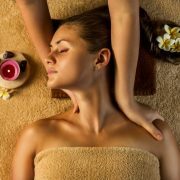 Find relief from everyday stress by visiting spas that offer professional massage therapy and enjoy the many benefits it offers for your health. Lypossage is a massage therapy modality that is aimed at reducing cellulite and inches while also detoxifying the body. This modern, cutting-edge type of massage is not only gaining popularity due to the fact that people are becoming more educated about detoxification, but also because these same people don’t have the time to get the amount of exercise they need, every day, to keep on top of their weight loss goals. Spas in Leesburg, VA are buzzing with energy as more and more people discover lypossage. Here are some more of the details about how this amazing massage therapy works. There’s no denying that romantic relationships can be tense at times. With two people constantly trying to connect with one another, it should be no surprised that the pressure of keeping the romance alive and burning can be every bit stressful.